Accudata is delighted to announce that they have recently become an official distributor for Pulsar Instruments plc. With over 16 years of experience in providing noise and vibration solutions to many companies across the globe Accudata can now extend their product range to include sound level meters, personal noise dosimeters, noise activated warning signs and hand arm vibration meters. Accudata is already well established and has a fantastic reputation for the hire and sales of its GVM range of ground-borne vibration meters and has a varied existing client base including quarries, civil engineers, construction companies and educational facilities. This new range of noise measurement equipment will enhance the existing product range and will enable Accudata to provide their clients with expert advice and help with choosing the right noise measurement solution for their specific application. All of the Accudata range is available for hire or sale. Sarah Brack of Accudata has over 12 years of experience in the noise measurement industry, says ‘We are thrilled to be representing Pulsar in the UK. Their range of instruments is compliant, robust and incredibly easy to use. Anyone who needs to meet the Noise at Work Regulations to protect their workforce from Noise Induced Hearing Loss and prevent costly claims to the business need look no further. 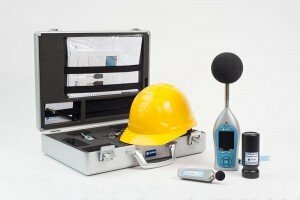 We can provide noise measurement equipment to suit most applications and budgets. Accudata offer both hire and sale of its instruments along with a fast turn around and a highly efficient service.